Cottage, 1 Bedroom, 1.25 Baths, (Sleeps 2)--close to the beach! And not only secluded, but only a four and a half minute walk to a gorgeous and private beach! Gilligan's Beach Cottage is not like one of the houses packed into town--it is about 15 minutes east of Princeville in rural Kauai in an unspoiled, natural valley called Moloa'a. If you check it out on a map, you will find Moloa'a Bay in the upper right hand corner. Since there is very limited public parking near the beach, this beach is relatively undiscovered by tourists. Hollywood, however, did discover this idylic location in the 1960's and filmed the entire pilot episode of 'Gilligan's Island' here--thus, the name we chose. Gilligan's Cottage is situated on a large rural lot which is filled with fruit and palm trees, to the delight of our guests. This valley is sparsely populated, and privacy and tranquility is what you will find here. Gilligan's has one bedroom, one full bath with a private outdoor Hawaiian Shower (which is very popular with our guests!). The cottage is fully modern in every way, yet still retains the charm of Old Hawaii in its plantation setting. Moloa'a Beach--oh, the beach! Just a four and a half minute walk down a lovely paved country road. Very beautiful, very clean and very LONELY! Many times, you will be the ONLY one to be walking this beach watching turtles, picking up shells, and observing an occasional Monk seal. This is the type of setting in which you totally forget that there is a civilization! The cottage is surrounded by tropical garden, but the beach is only a four and a half minute walk! Verizon Cell Phones work here too. FREE WIFI!! You don't know how long I waited for this service! All dishes, silverware and pots and pans provided. From the Beach Boys to the most romantic of Hawaiian music. For the beach, of course! Literally hundreds of movies and TV shows--including the entire first year of 'Gilligan's Island'!! Perfect for a couple looking for a quiet/relaxing time! This was our first time to Hawaii/Kauai - Gilligan's cottage was a perfect fit for us. We enjoyed the privacy (and got used to the chickens in the morning)! The cottage was about a 20 min drive to the nearest "big" town; no problems there as there is plenty of scenery to enjoy on the drive. The cottage was well equipped and made making meals 'at home' easier versus eating out every day. Being able to do laundry was a huge plus as well. We had a blast and look forward to our next trip back! Had a fantastic stay in paradise :) would highly recommend to anyone looking for a relaxing vacation. Very well located near a beautiful private beach close to everything. A place where you can just BE! This is a beautiful little hideaway cottage with all the amenities. We thoroughly enjoyed our time here. Mornings were spent on the lanai listening to birds in the trees and shade was easily available. The fruit trees were wonderful. The beach was within easy walking distance. Unfortunately the surf was too high during our stay for swimming but our weather was very unusual. Toni was extremely helpful. If we come back to Kaui, we will return to this little cottage. My wife and I spent seven nights at Gilligan's in January 2019. 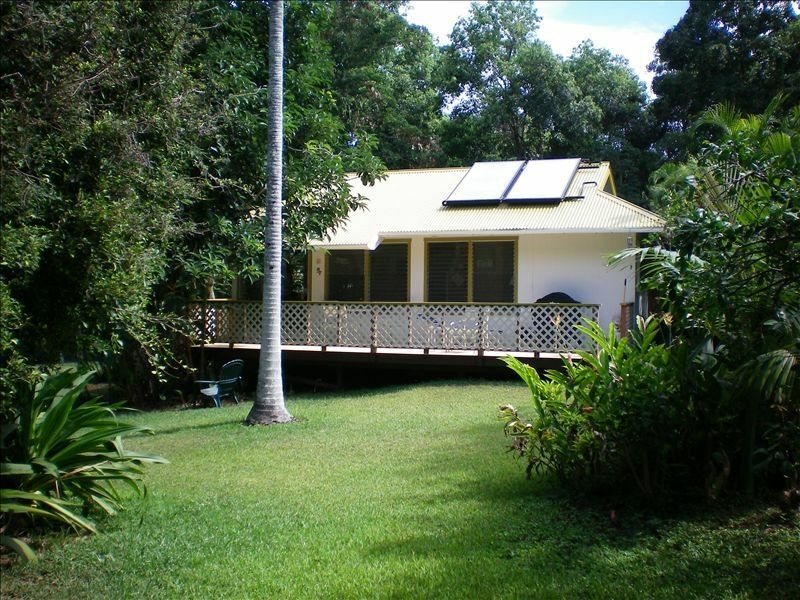 Not only is Kauai an amazing island - so is this lovely private cottage! It had everything we needed (& more) and is very clean and well maintained. The kitchen was stocked, bed was comfortable, and the yard was as lush as can be! We enjoyed watching the sunrise every morning at Moloaa bay and exploring the rest of the island during our stay. Tony was very easy to reach and I can't recommend Gilligan's cottage enough. We will stay here again if we are lucky enough to visit Kauai. Mahalo, Tony! Upon confirmation of reservation, a $350 deposit is due within ten days. Balance of rent/tax is due one month prior to visit to Kauai. Credit card and personal checks accepted.